This policy framework assignment help for the social workers it is very much important that they engage in policy analysis. As strength- based policy analysis given in Chapter 5 many authors generally develop the policy analysis on the basis of frameworks. 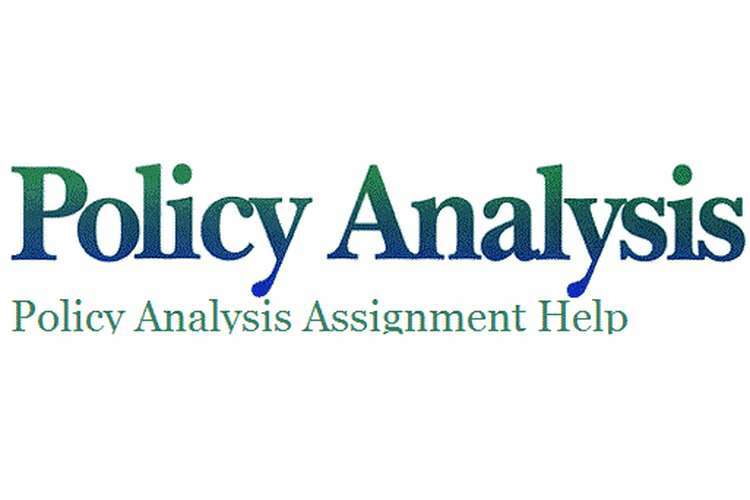 The main role of the policy analysis framework is to identify the important elements of the policy which are important to have a better understanding of the policy. Depending upon the model of framework the approach taken for the evaluation of the various elements in the policy differs. The frameworks are discussed in this report on the basis of their application in policy analysis, but they can also be used in the analysis of the program. What are the bases of social allocations? What are the types of social provisions to be allocated? What are the strategies for the delivery of these provisions? What are the ways to finance these provisions? The first question on the basis of the social allocation is aimed to find out who are beneficiaries of the policy and the nature of entitlement which is very much similar to the rules of the third element entitlement given by the Chambers’. This type of the social allocation mainly focuses on the form of benefit, whether it is the cash, in-kind or a different form such as vouchers or some special kind of power or authority. Design of the delivery system is provided in the third dimension as is aimed to determine the service providing organization and the consumers. The manner of financing is generally divided into two different ways the first section deals with the source of finance and the second section deals with the system of transfer. The different types of elements that have been identified by Gilbert and Terrell are somewhat similar to the elements that have been identified by Chambers, but the main difference between the two is that Chambers’ included goals and objectives. Gilbert and Terrell did not just simply explained the important elements of the policy, but they also focused on the function of the values, theories and assumptions that were made in the policy analysis, this process is very much similar to the process followed by Chambers. The values help to identify and evaluate the distributive justice which is the main aim of the social policy. It is done by observing the adequacy, equity, and equality of social policy in addition to looking at the value of the individual versus the collective (Gilbert & Terrell, 2002). Hence it can be said that the framework examines the different range of alternatives which are available within each dimension of the social policy, the social values on which they are based and the various theories or assumptions that underline their purpose. The first element of the Delineation and overview of the policy under analysis, generally evaluates the nature and the scope of the problem that is being targeted and the policy design using the framework that has been suggested by Gilbert and Terrell. The second element is the historical analysis. The main focus of the historical analysis element is to analyze the earlier policies made towards addressing a similar problem and the development of the policy over the due course of time. The third element is the social analysis which mainly describes the problems, the different types of social values that are related to the problem and the main goals and objectives of the policy. The fourth element is the economic analysis, which basically aims to identify the potential impact of the policy on the complete functioning of the economy and the behavior of the individuals, firms, and markets and opportunity cost or cost/benefit analysis. The fifth element is the political analysis whose main focus is the major stakeholders in the policy making and the process that are to be followed for the decision making in order to implement the policy. The policy/program evaluation element is aimed to evaluate the outcomes, unknown consequences, and the analysis of the cost effectiveness. Finally, it becomes important to evaluate the current proposals for the reforms made in the policy (Popple & Leighninger, 2004). Peter Levin provided a theoretical framework, in order to examine the policy decisions, which are related to the education. As per Levin, there are six themes, which can define all the policies that are related to the education. Among these six themes four themes are particularly related to the learning of the students and the accountability of the institutions. The first theme is related to the demonstration or perceived need for change in the status quo. This stage is called the ‘problem identification’. After the need for change has been identified the next stage is the changes in the governance. In US the government functionaries have the authority over the education system (Culver, 2010). Every state has different kind of arrangement with the schools and universities within its jurisdiction. The system of governance comprises of the consolidated governing board, a coordinating board, a planning agency or it may be a complicated mixed model. Since these structures are not permanent and they may change according to the legislation of the state, which manage the higher education scenario in the state. The third theme that has been given by the Levin’s framework for the policy analysis is that need for changes lead to the several changes in the government policies and lead to the changes in the structure of governance in order to implement the activities might not be supported by the increase in funding by the government. In most of the public discussions education is perceived to be as a cost but not as an investment. Further there has been a gradual decrease in the financial support provided by the state for the higher education. The cuts in the budget have an impact on the higher education in many states and, the higher education has come down in the priority list of the government. The fourth theme that has been pointed out by Levin is giving more emphasis on the standards, accountability and testing. These are one of the most important features that are responsible for the identification of whether a particular policy is effective or not. The rankings of the International Association for the Evaluation of Educational Achievement or the International Assessment of Educational Progress are being used for comparing the education system of different countries. Several schools have also taken various measures to compare their education performance with respect to the other schools. The higher education system of Virginia is a perfect example how a increased focus on the learning and outcomes of the students can have a huge impact on the way education is viewed and the manner in which the education are affected. Virginia has small liberal arts colleges and large research I institutions (Hansberger, 2003). Some of the institutions receive more money per student from the states when they are compared to the other institutions. The institutions are accountable to the board of the respective institutions, where most of the members of the board are appointed by the governor. The institutions are also accountable to the State Council of Higher Education for Virginia, which is the main body that makes policies and recommendations regarding the higher education in Virginia. Thus it can be said that the Virginia education system is very complex. Further, Virginia is the first state in the US which considered the outcome of the students as away to determine the changes and reshaping the teaching and learning policies in the colleges and the universities. For over the past twenty five years, the assessment efforts have been part of the educational policy of the state, largely due to the policies made by the State Council of Higher Education for Virginia (SCHEV) and networking steps taken by the Virginia Assessment group (VAG). Thus Virginia has very diverse educational options which allow early entry into the assessment field. Thus Virginia provides a good example for analyzing how the quality of the education and the assessment of the education system are affected by the various policy makers who holds several authorities over higher education in Virginia. The analysis of the Education system in Virginia will be done as per the themes provided by Peter Levin to analyze the educational policy in a particular context. The major themes that will be used to analyze the education and assessment policy of Virginia are: the need for change, changes in the governance, changes that are not accompanied by the increase in funding and putting more emphasis on standards, accountability and testing. Virginia is often known for its high standard of education system, where diverse education systems are present among which there are 15 public universities, eight universities grant doctoral degrees and 23 community colleges. In 1985 the general assembly of the stature provided a grant of $125,000 to the James Madison University in order to conduct a proper review of the course curriculum and determine various ways to measure the performance of the students. Four models of evaluation that were identified by the James Madison University included: “ (1) a discrepancy evaluation designed to allow faculty to set their own objectives, measure student achievement, and review gaps between the two; (2) a value-added approach, then used at Northeastern Missouri State University, which relied on comparisons to institutional peers; (3) the model used at Alverno College, which emphasized diagnostic testing to guide student course selection; and (4) a student outcomes program based on the Tennessee Performance Funding Program, dependent on standardized and locally designed tests to evaluate student achievement” (Culver, 2010). On the basis of the report that was given by the SCHEV in 1986 , a joint resolution of the senate 83 directed all the government institutions to develop a proper policy to monitor the achievements of the students. In the year 1987, SCHEV started working with the heads of the various public institutions to draft guidelines to assess the education of the students. These guidelines completely defined the education and the steps and procedures that have to be followed by the educational institutions in order to assess the performance of the students. According to those guidelines the educational institutions were directed to prepare and employ such measures for assessment which can show the value that has been added by the education provided by the institution on the life of the students. The commonwealth approach to the assessment of the students ensured that the public institutions will evaluate the learning outcome of the students in all types of courses. After the getting the governor’s memo that the educational institutions will not be eligible to get the various range of findings if the assessments were not properly implemented, all the institutions started taking the assessment policy seriously. In the year 1999, the Governor Virginia launched a Blue Ribbon commission in order to evaluate the needs and goals of the higher education in Virginia during the twenty first century. The government approach reaffirmed the policy to assess the performance of the students. as pointed out inj the executive order no. 1 (1998), which developed the Blue Ribbon commission, “ Virginia’s Higher education system faces many new and unprecedented challenges to maintain academic excellence, control costs and meet the educational needs of our students” (Culver, 2010). Two important questions can be raised depending on the above statement on the sidelines of the Levin’s framework is that the present requirements are not being met and the identification of the needs of the students will be done outside the institutions. The main responsibility fo the commission was to provide suggestions to the Governor on how the public institutions, administrators and the faculty members can be made more accountable to their stakeholders by evaluating the quality of the academic content and the various outcomes that is possible to accomplish by investing public money in the educational institutions (Hanberger, 2003). The main aim of the commission was the identification of the six areas of knowledge and skills that are not related to the academic discipline and instead underline the basic competencies that should be achieved by all the students who are studying under a particular degree program at an institution of higher education. These areas were Information Technology Literacy, Written Communication, Quantitative Reasoning, Scientific Reasoning, Critical analysis Thinking, and Oral Communication. The institutions marked these areas as the area of core competency. According to the commission the institutions should hold regular assessment of these areas among its students and the findings of the assessments should be shared with the general public. The institutions marked these areas as the general core educational requirements On the sidelines of the Levin’s framework the need for change was very well documented throughout the national reports and the various concerns that were related to the State of Virginia. Thus in view of the need of change, various changes occurred in the policies which were made by the General Assembly and the State Council for Higher Education. According to the second theme given in the Levin’s framework once the need of the change has been identified, actions are followed which causes changes in the government policies. In case of the higher educational institutes in Virginia, the governing bodies incorporated the various state level institutions such as the SCHEV and the other federal-level institutes along with the accrediting institutions that have been recognized by the federal government. the process of assessment provided a solid way for these groups to collaborate with each other, similar to what it did for the various constituencies that are within the campus, which resulted in the changes in the policy of the all there groups. The third theme that has been given by the Levin’s framework for the policy analysis is that need for changes lead to the several changes in the government policies and lead to the changes in the structure of governance in order to implement the activities might not be supported by the increase in funding by the government. The budgets of Virginia during 1988-1990 did not include the rise in the budgets of the institutions due to the implementation of the assessment policy (Culver, 2010). The increase in cost was because the institutions filled up various management posts in the institutes and the accompanying support staff to undertake the assessment process in the campuses. Though most of the institutions requested for the increase in the grants provided by the government, there was no clear indication of what will be cost of assessment for the various institutes. Many institutes underestimated the costs related to the purchasing of the new testing materials, faculty time, administrative time and the personnel. The final theme of the Levin’s framework is aimed on the giving due importance to the standards and accountability. Since there have been changes in the policy of the government thus it will be important to gauge the effectiveness of the policy by evaluating the differences between the changes with the help for the empirical data. The program of the student assessment has followed this policy. Like in the year 1986, the senate document no. 14, describes that one of the six recommendations for the evaluation of the students achievements it is important the educational institutes in Virginia must take the entry level test as the skills that were acquired in the high school might not be sufficient enough for the higher educations. Thus the institutes were guided to announce ‘minimum threshold requirements’ which are necessary for taking higher education. This new initiative of the measurement of the student’s achievement could lead to the better collection of the empirical data by the SCHEV. It has been pointed out by Levin that the need for the changes is important before the actual change take place (Blume, Scott & Pirog, 2014). In case of Virginia various reports by the national; and the international organizations prompted the government and the state legislators to change their mentality towards education. Further Levin said that changes in the governance becomes utmost important for proper application of the policy. In case of Virginia, the SCHEV has given various authorities and powers to strengthen the educational system in the higher education institutions. Chambers, D.E. (2000). Social policy and social programs: A method for the practical public policy analyst (3rd Ed.). Boston: Allyn & Bacon. Gilbert, N., & Terrell, P. (2002). Dimensions of social welfare policy (5th Ed.). Boston: Allyn & Bacon. Dobelstein, A.W. (2002). Social welfare: Policy and analysis (3rd Ed.). Pacific Grove, CA: Brooks/Cole. Popple, P.R., & Leighninger, L. (2004). The policy-based profession: An introduction to social welfare policy analysis for social workers (3rd Ed.). Boston: Allyn & Bacon.